50g Sample of the original and best Farmhouse Bread Improver, add 1 or 2 teaspoons to any loaf for superb results, great results in breadmakers, Up to 12 loaves per pack. 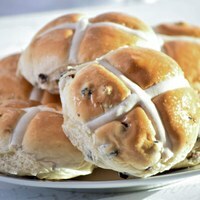 All our improvers/concentrates can be used in any bread making method. Italian Ciabatta Bread, the easy way!. A concentrate for making Italian Style Ciabattas the easy way, great results every time. Just add flour, water, yeast. 50g Sample of the Softest Most Delicious Bread or Rolls, Makes superb Bread or Rolls and is ideal for Bread Machines or Handmade Baking. Its an improver and conditioner all in one. Contains real sourdough powder, great results with rye flours, a very potent improver, will make normal white bread escape from the top of the breadmaker!! Just add 1 or 2 teaspoons per loaf. This is the answer to all the stale bread problems we face making bread at home. 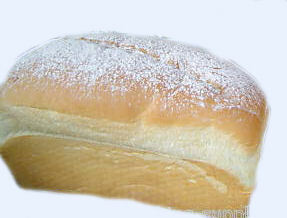 Its a liquid bread improver designed to improve bread softness, and keep it soft. The bottle contains 250ml which is enough for approx 25 loaves. Example Picture Shown! 20 Small Bread Bags, ideal for storing your homemade bread or any other items. Bread Improver Starter Samples Pack. A great economical way of trying a selection of our bread improvers 30g Farmhouse, 50g Soft Style, 50g Ciabatta, 40g Malted Wholemeal, 30g Sourdough, 75g Fruited bread improver. 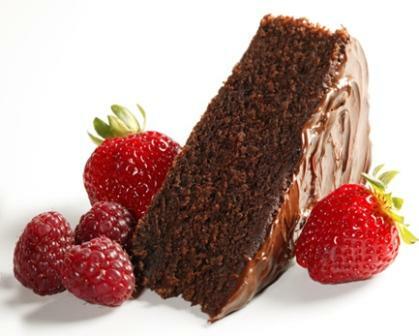 Delicious Moist Chocolate Orange Cake Mix with real fruit pieces, very easy to make at home, just add egg, oil and water. 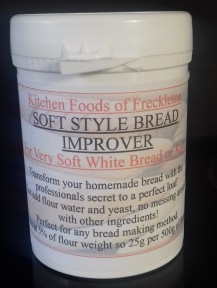 100g of Bread Improver for the Softest Most Delicious Bread or Rolls, it has all the ingredients to make superb soft bread and rolls, and is ideal for Bread Machines or Handmade Baking. You have just found the original Farmhouse Bread Improver, add 1 or 2 teaspoons to any loaf for superb results, great results in breadmakers or any method, great value only 1-2 tsp per loaf. Our best seller. 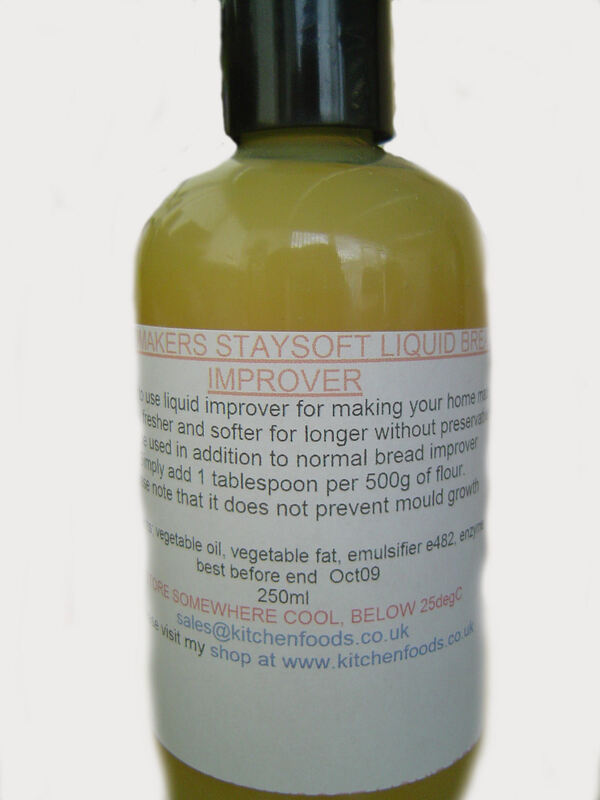 Bakers/Confectioners Release Agent Oil For Bread/Cake Tins etc..
Professional Bakery Release Agent in a handy 250ml bottle ideal for home or catering use. 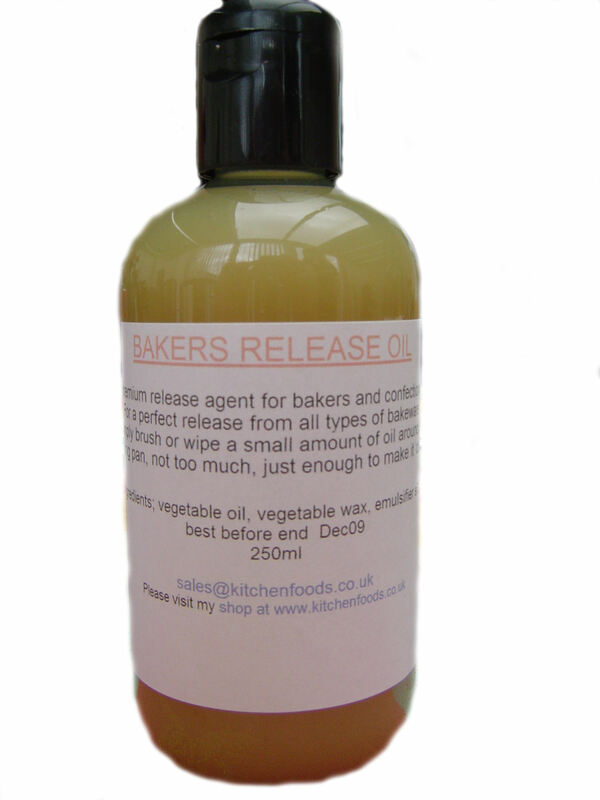 This release oil is a blend of highly refined vegetable oil and wax which is ideal for releasing bread, cakes and any other baked goods from any style of bakeware. Example Picture Shown!. Contains real sourdough powder, great results with Rye Flours, a very potent improver, will make normal white bread escape from the top of the breadmaker!! Just add 1 or 2 teaspoons per loaf. Makes 10-30 Loaves. 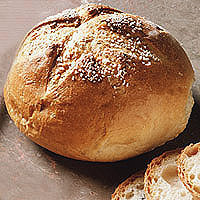 Makes the softest most delicious bread or rolls, it has all the ingredients to make superb soft bread and rolls, just add flour, water, yeast. This Bread improver contains Sourdough for a Delicious "Old Style Loaf". It is excellent in a Bread Maker or for making Bread by Hand. Just add 1 or 2 teaspoons per loaf. Makes 20-40 Loaves. You have just found the original and best Farmhouse Bread Improver,add 1 or 2 teaspoons to any loaf for superb results, great results in breadmakers, Up to 30-60 Loaves per pack!, great value. 300g Premium quality doughnut mix. Can be mixed in a bread machine or kenwood style mixer. Add flour, yeast and water and make up the same as a bread dough. Great with jam, cream, icing or even better with the Cold Set Custard. Sample of a very tasty Fruit Improver/Concentrate for making all kinds of fruit breads and sweet dough products has a mouth watering lemon/orange taste and aroma, makes a very soft dough. Just add flour, water, yeast, fruit and maybe cinnamon. This product is ideal for fruited doughs, including christmas stollen (free recipes included)...A very tasty concentrate for making all kinds of fruit breads and sweet dough products it has a mouth watering lemon/orange taste and aroma. . This product is Ideal for fruited doughs, including Christmas Stollen (free recipes included)...A very tasty concentrate for making all kinds of fruit breads and sweet dough products, it has a mouth watering lemon/orange taste and aroma. This concentrate will give you a very soft / fluffy style loaf or rolls similar in texture/ taste to the soft batch style ones you see in shops. Makes the Softest Most Delicious Bread or Rolls. Contains real sourdough powder, great results with Rye Flours, a very potent improver, will make normal white bread escape from the top of the breadmaker!! Just add 1 or 2 teaspoons per loaf. Makes 30-60 Loaves. 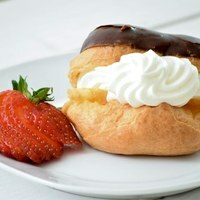 300g Sample Cake Doughnut/Donut Mix, makes seaside style donuts, best quality mix there is. Ideal for doughnut makers. Less oil soak up than other makes. If you own a doughnut maker just make up the mix and follow the machine's instructions. Simply add half water and whisk. You have just found the original and best Farmhouse Bread Improver, add 1 or 2 teaspoons to any loaf for superb results, great results in breadmakers, Up to 40-80 Loaves per pack!, great value. This Bread improver contains Sourdough for a Delicious "Old Style Loaf". 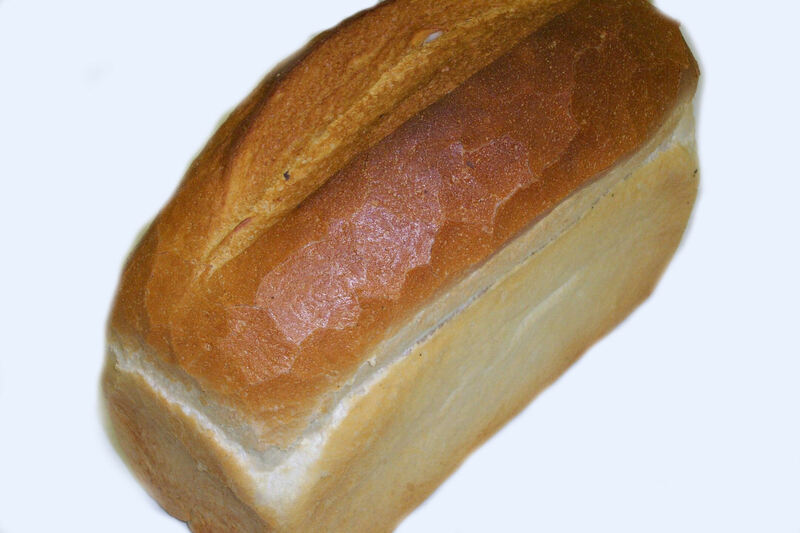 It is excellent in a Bread Maker or for making Bread by Hand. Just add 1 or 2 teaspoons per loaf. Makes 40-80 Loaves. 600g Cake Doughnut/Donut Mix, makes seaside style donuts, best quality mix there is. Ideal for doughnut makers. Less oil soak up than other makes. If you own a doughnut maker just make up the mix and follow the machine's instructions. Simply add half water and whisk. 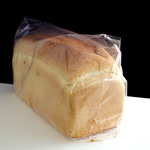 20 Polythene Bread Bags for food, ideal for storing your homemade bread or any other items. Contains real sourdough powder, great results with Rye Flours, will make normal white bread escape from the top of the breadmaker!! Just add 1 or 2 teaspoons per loaf. Makes 50-100 Loaves. 500g Farmhouse Bread Improver,add 1 or 2 teaspoons to any loaf for superb results, great results in breadmakers, Up to 50-100 loaves per pack, great value. A very tasty concentrate for making all kinds of fruit breads and sweet dough products it has a mouth watering lemon/orange taste and aroma, Just add flour, water, yeast, fruit and maybe cinnamon. This Bread improver contains Sourdough for a Delicious "Old Style Loaf". It is excellent in a Bread Maker or for making Bread by Hand. Just add 1 or 2 teaspoons per loaf. Makes 60-120 Loaves. 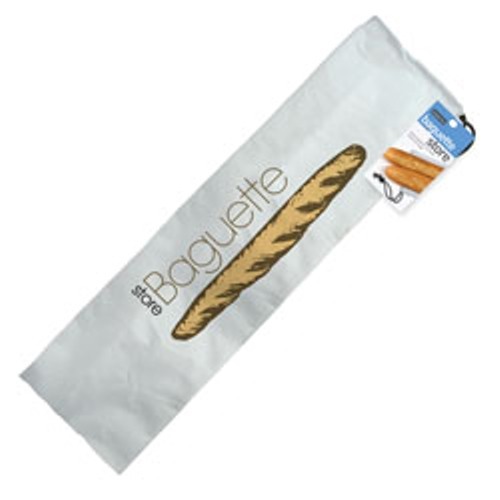 Baguette storage bag, ideal for storing your homemade bread or any other items. Cake Doughnut/Donut Mix, makes seaside style donuts, best quality mix there is. Simply mix and plop in the fryer, Ideal for doughnut makers. If you own a doughnut maker just make up the mix and follow the machine's instructions. Simply add half water and whisk. Less oil soak up than other makes. 600g Premium quality doughnut mix. Can be mixed in a bread machine or kenwood style mixer. Add flour, yeast and water and make up the same as a bread dough. Great with jam, cream, icing or even better with the Cold Set Custard. 600g Farmhouse Bread Improver,add 1 or 2 teaspoons to any loaf for absolutely superb results, great results in breadmakers, Up to 60-120 loaves per pack, great value. 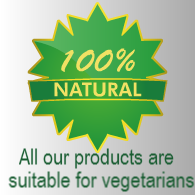 900g Premium quality doughnut mix. Can be mixed in a bread machine or kenwood style mixer. Add flour, yeast and water and make up the same as a bread dough. Great with jam, cream, icing or even better with the Cold Set Custard. 20 Ex-Large Polythene Bread Bags for food, ideal for storing your homemade bread or any other items.